According to a report by the Bank of Israel, about 51.7 percent of Ethiopian Israeli families live under the poverty line, in comparison with only 15.8 percent of Israeli families in general. These families left Ethiopia for numerous reasons, including their love for the Holy Land and religious, social, and economic opportunities. Unfortunately, the Ethiopian community has had a hard time adapting to life in Israel. Although there are notable exceptions, such as Adenko Sabhat Haimovich and Esther Tapeta Gradi, two Ethiopian women who serve as judges in the court system, and Lt. Col. Avi Yitzhak, who became the first Ethiopian Israeli to graduate from the IDF's Brigade Commander course and the first Ethiopian Israeli to ever serve as a combat doctor, a large proportion of Ethiopian Israelis work as unskilled and contracted laborers, defined as the "working poor." Many of these families made aliyah (immigrated to Israel) with only one parent, amplifying the problem. Some, like Ethiopian-born Yaakov (pseudonym) helped his family survive by working from a young age. 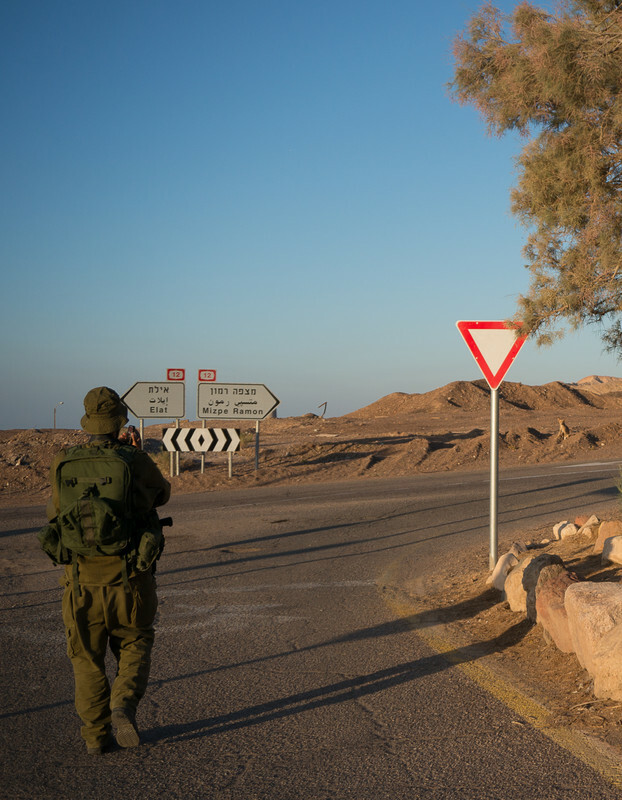 "When I was serving in the Israeli army, my mother couldn't afford to help me," he told Breaking Israel News. "When I lived at home, I was able to help out some with part time work. But that changed once I went into the army." Unable to work while in the army and making only meager army wages, Yaakov was uncertain how he would manage with the extra expenses that come with the winter months. He needed warm clothing and durable, waterproof shoes but couldn't afford them. A close friend revealed to him that there is an organization known for helping out soldiers in need, Karmey Chesed, and that he had received help from them in the past. Yaakov called up Aryeh Weingarten, founder and director of the Israeli non-profit organization, and told him of his situation. Immediately Weingarten gave the young soldier money so that he could buy himself the needed protective winter clothes and shoes. "I told Yaakov, as we tell all of the needy people that contact Karmey Chesed, that our door is always open for any additional help he may need," Weingarten told Breaking Israel News. "I feel it is important that needy people know this because sometimes they are embarrassed to come and ask again. I pray that we always have the funds to keep our door wide open at all times." When Yaakov completed his army service, he found a part-time job in a factory that makes laffa and pita bread and received only minimum wage. Though the years had gone by from the first time that he needed to approach Karmey Chesed, he felt comfortable enough to approach the organization again and ask for help for this winter. Karmey Chesed provided a much-needed heater to warm his apartment and money to buy clothes for the winter. "Now that my situation is much better, I only go to Karmey Chesed when it is absolutely necessary," said Yaakov. "It is really invaluable that there is something like Karmey Chesed to help out soldiers and people in need." Unfortunately, there is still a lot of work that must be done to help the poor of Israel, especially within the Ethiopian community. "Karmey Chesed is grateful to our donors who help as much as they can in order for us to continue helping as much as we can," said Weingarten.